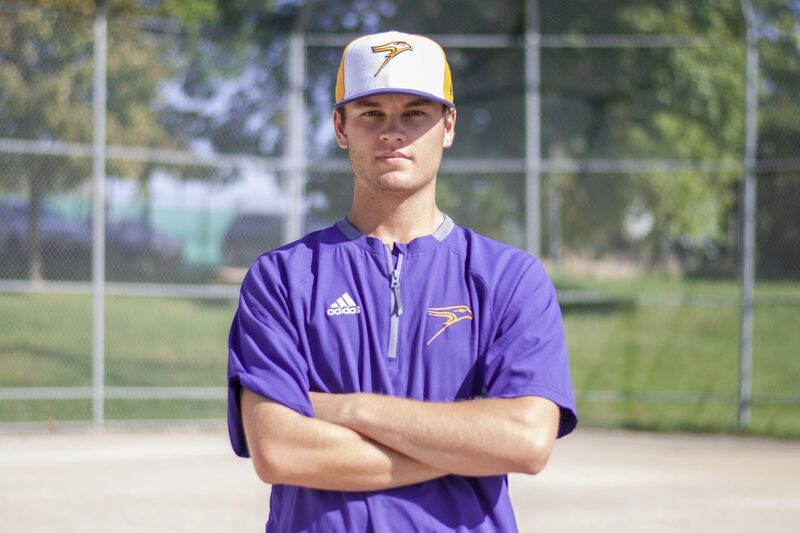 Although Ben Braun is one of the new recruits to the Laurier Men’s Baseball team, he is no stranger to playing university level baseball. Braun is a transfer from NCAA Division I school St. Boneventure, and on Sept. 9, he began his career as a pitcher for the Golden Hawks. Ben began playing at the young age of nine years old in little leagues within his hometown, but at age 15 Ben said his passion for the sport really took off and there was no looking back. His university debut was a game against McMaster where he pitched eight innings during the first game. “From start to finish it was a good game,” Braun said about his first game as a Golden Hawk. “[The] team played great all weekend and I was proud to stand out there and play for the first time,” he added. When asked about a professional pitcher that he admires, Ben shared the late Roy Halladay. Halladay pitched for the majority of his career as a Toronto Blue Jay. Ben admired Roy’s game approach, mindset and that he was a “complete workhorse” on the mound. “We don’t have any holes that need to be filled, I feel like we have a team that we could field two different teams and both could contend in this league and win games. So our depth is second to none,” he said. Last season the Golden Hawks were silver medalists in the OUA Championship game, so winning a championship title is definitely not out of the question. It was clear that Braun is confident in the ability of his teammates to execute throughout the season and claim the OUA championship title. It is clear that Ben is passionate about the game of baseball, and that he has every intention to be an exceptional teammate and contribute to the team having a successful season.